Although the end of summer is growing near, the warm weather at Four Roses has us dreaming of many more mellow moments spent outdoors. We’ve handcrafted the perfect cocktail for you to stir up and enjoy this month. The combination of sweet simple syrup and crisp, fresh citrus with Bourbon is the perfect addition to any outdoor occasion. Combine Bourbon, lemon juice and orange juice. Muddle handful of mint and add to batch. Stir. Top off each glass with a splash of club soda and enjoy! 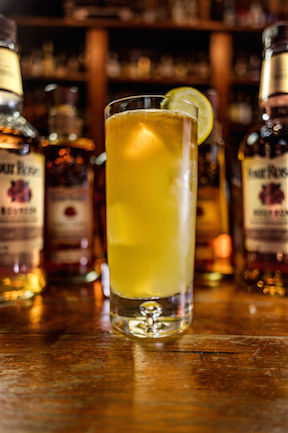 If you craft your own Four Roses Bourbon Lemonade, please share on Facebook, Twitter or Instagram with the hashtag #HandcraftTheMoment so we can check it out!